Saving money is one of the best ways to become financially healthy. However, there are many different goals to save for and many different places to save your money. So, what is the best way to get started or make sure you are heading down the right path? Here are three simple things to save for and how best to make your efforts more fruitful. Short-term Savings: saving for emergencies and unexpected expenses takes a certain level of self-discipline. This money should be liquid, meaning you should have easy to access to it when you need it. For example, have a savings account at your bank or credit union where you can easily move money from there into a transaction account when needed. The best way to build a savings account is to move money automatically from your paycheck with a split deposit or with an automatic bank transfer before you can spend it. It should be a consistent auto-deposit, every two weeks or monthly depending on when you get paid. This is where your self-discipline is so important to gain ground. If you truly save this money for an emergency than it should not be used for new golf clubs or an expensive handbag, etc. 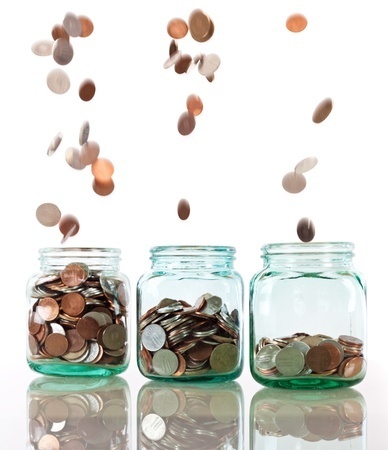 You should earmark another savings account or set aside cash as part of your mid-term savings strategy. Mid-term Savings: saving for your wants also takes a plan. This type of savings account, which can be saved cash, should be used for your new couch, designer shoes, new golf clubs, car, vacation, down payment for a house, etc. Have a plan for whatever it is you want and then add it up, count backwards by month/week/etc., and save that amount until you reach your goal. Paying cash for that vacation or new couch will feel far more satisfying! Success in this savings tier will help foster the necessary self-discipline to achieve your long-term savings strategy. Long-term Savings: saving for retirement is a whole other way to think about saving. It is a marathon, not a sprint. This money should be hard to access, and it should not be used until you have reached retirement age, which is set by the IRS and is currently 59 ½, where early withdrawals will carry steep penalties and cost you big portions of your hard-earned money. This “carrot and stick” approach is a good thing as you should not be touching this money before retirement anyway. This money also needs time to grow. For retirement money to grow in a significant way this money is subject to market risk, thus it is important to diversify and apply your personal risk tolerance, which is why you should consult a professional to discuss your goals, tolerances, and associated risks. According to this report, retirement accounts hitting the $1 million mark are growing, which is a great sign. But remember, many of these accounts have been growing for 30 years, so understand dollar-cost averaging and maintain for the long-term. Want to be a millionaire? Then start saving now across all three pieces of this strategy and be self-disciplined. If offered, take full advantage of any fund-matching opportunities you may receive from your employer, as this is one of the best ways to grow your money as part of a solid, consistent saving strategy. For those that qualify, the Blended Retirement System (BRS) is a great example of employer matching funds. There are many ways to tackle your savings goals. The links below can help you on your way to financial health and development of the saving strategy that is right for you. And here’s to us all becoming millionaires!